A Girl and Her eBooks: A Very Kate Christmas by Judy Nickles Excerpt - FREEBIE! A Very Kate Christmas by Judy Nickles Excerpt - FREEBIE! From the author of the Penelope Pembroke Series comes a new series set in the late 1800s and early 1900s. 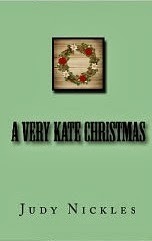 A Very Kate Christmas is a collection of five stories designed as an introduction to a three-volume series, The Kate Chronicles, which follows the life of a baby girl found in a deserted line shack in the Texas Panhandle just before Christmas in 1880. Placed in the local orphanage, she captivates Dan and Olivia Forrester, an older couple married only six months. Olivia has raised three children and buried three more. Dan has experienced the tragic loss of a baby daughter and a young wife. Sometime in the waning hours of Christmas Day, they determine that the tiny baby girl is part of their second chance at happiness. There is so much love between the, Olivia observes, enough to share. Cherished by her parents, doted on by her much-older siblings, guided by the wisdom of Mr. Amos, an ex-slave who has found a home in the hearts of the Bancroft family, and given every material advantage, Kate is not shielded from the realities of life but rather encouraged to learn lessons which will strengthen her as she grows to womanhood. The Kate Chronicles records a century of life for Katherine Bancroft Forrester, a miracle--her parents tell her--given by the Christ Child. Compared to the magnificent cathedral my friend Annette’s parents attended, the little church seemed drab. There were no carpeted aisles, no stained glass windows, no white-robed choir, and no tall spire ascending almost to Heaven. Inside the squat, flat-roofed building, a handful of scarred wooden pews, cast off from finer institutions, rocked crazily on the warped floor. Sometimes during a long service I studied the stains below my feet and tried to make pictures from them like I did from the clouds on a summer evening. Later I realized the ugly little storefront chapel was a mission which ministered to people who would be unwelcome elsewhere. However, at just-turned-five, I accepted everything and everyone at face value. For instance, Mr. Frank was the man with the shaky hands, and I frequently shared my hymnbook with him when he couldn’t hold his own. He didn’t smell nice like Papa, so sometimes I put my handkerchief over my nose and pretended to sniffle. Mrs. Janet coughed a lot and seemed to grow thinner every week. She looked old, but I heard Mother say she was only a little older than Regina. Miss Maggie was pretty in a tired sort of way, and her hands were always red and chapped because she worked for Mr. Wang at the laundry where we sent our linens. I soon figured out there was no Mr. Maggie to take care of her and her little boy. Some of the younger women wore what Mother called face paint and party clothes and smelled strongly of perfume. They were very interesting to look at, though Mother told me firmly that well brought up little girls didn’t stare at other people for any reason. Our fellow congregants were, I realize now, an odd assortment: alcoholics, ex-ladies of the evening, saloon girls, drifters who slept in doorways or alleys—the unwashed and unwanted of the Texas coast. I didn’t understand then, nor did I question that Mother and Papa and I were somehow different from the others. Papa said we were all God’s children and, as such, should care for each other. Unspoken Past by Linda Wisdom - Prime Freebie! Christmas Belles by Susan Carroll - FREE! 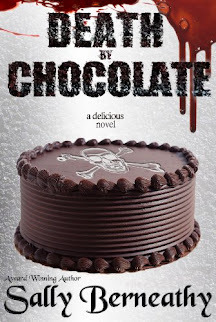 Joyfully Yours by Amy Lamont Review - FREEBIE!